We’re not supposed to admit to having favorites, so we won’t. 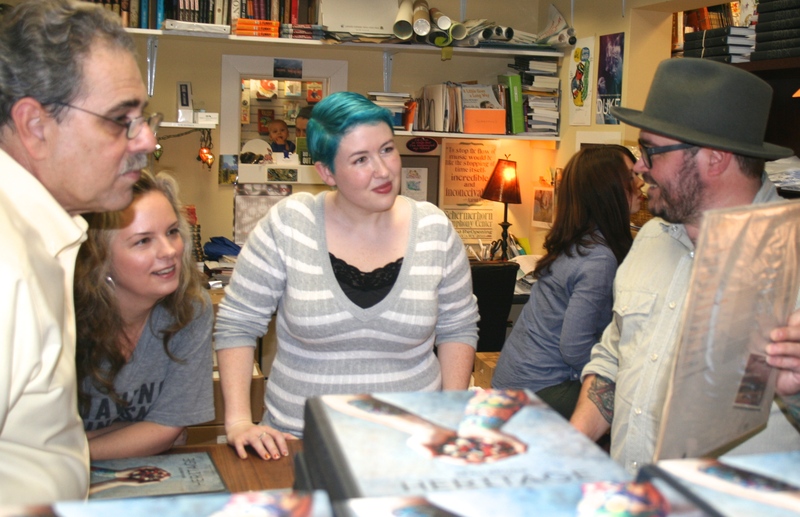 But if we did have favorite authors, they’d be the ones who are down to earth and up for a little fun behind the scenes. 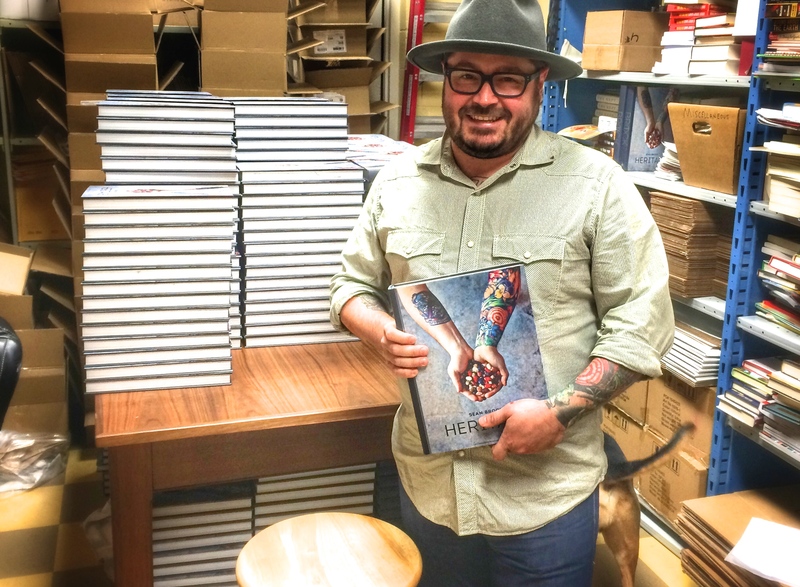 Case in point: James Beard Award winning superchef Sean Brock (of the growing restaurant empire that includes Husk in Nashville and Charleston) came by to sign copies of his beautiful first cookbook, Heritage, and we ended up having a little spontaneous hangout. Brock’s book signing appointment with us began the way most do, in the ultra-glamorous setting of our storeroom — florescent lights, packing materials, and all. 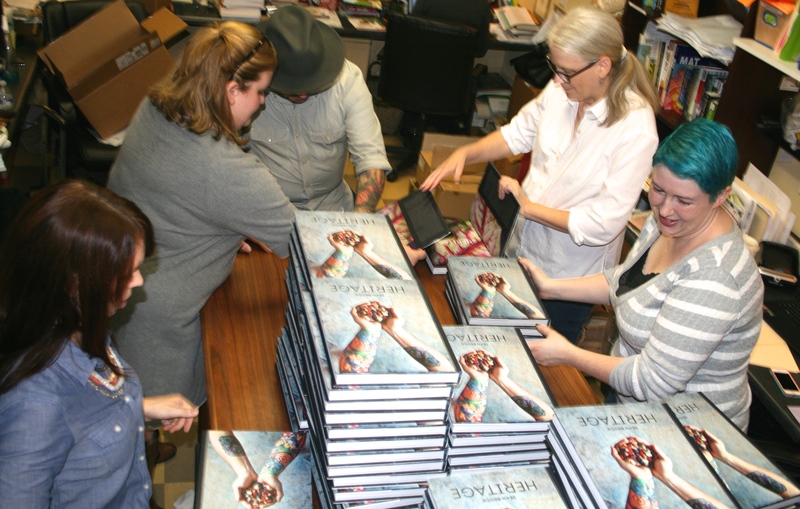 More than 700 books were stacked four rows deep on top of and underneath our big table. We warned him he’d need to eat his Wheaties (or, um, organic oatmeal?) and be ready to nurse a hand-cramp after the morning was over. We enlisted a team of folks to help. Catherine, Niki, Karen, and Steph kept the books moving, uncapped fresh Sharpies, etc. 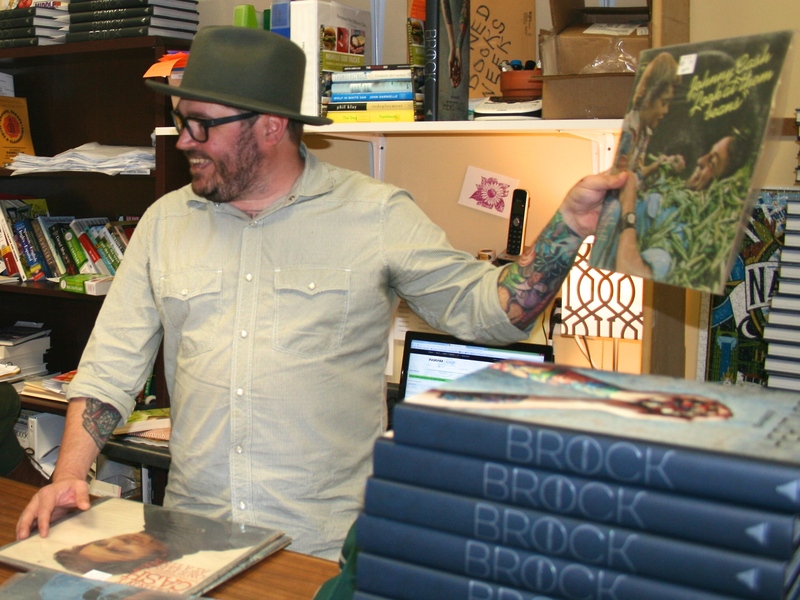 Brock signed books so efficiently that we ended up with a lot of time left over before his ride came back to pick him up. What to do? Well, obviously, we’d have a tattoo show-and-tell. 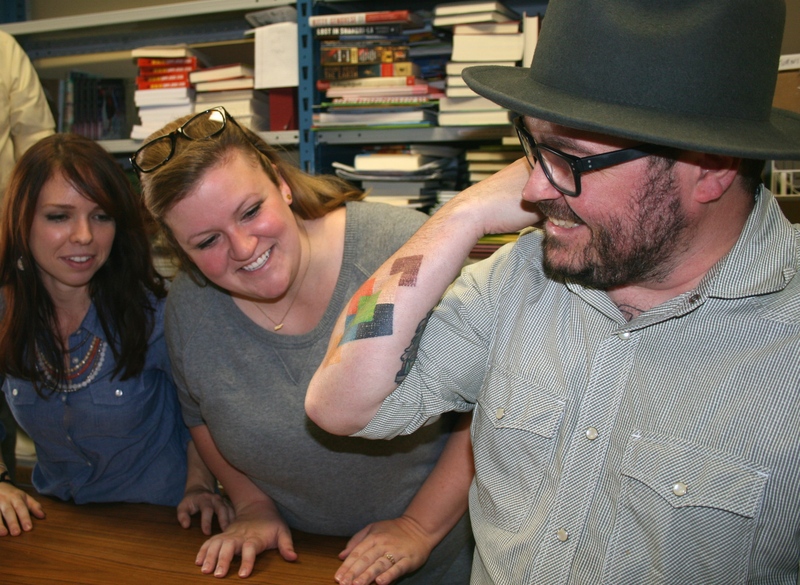 Catherine and Niki checked out some of Brock’s ink. 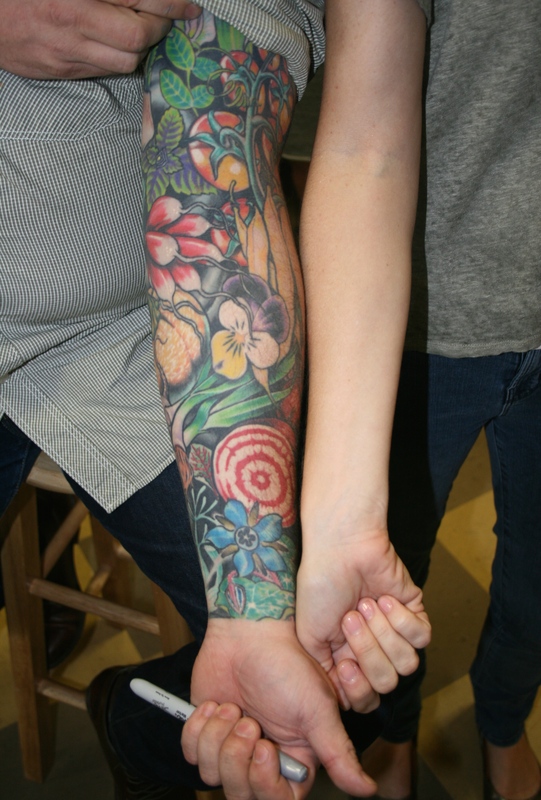 Then we did a side-by-side arm comparison, in which Brock’s colorful harvest made Mary Laura think she should maybe get at least a little beet or radish on her wrist. 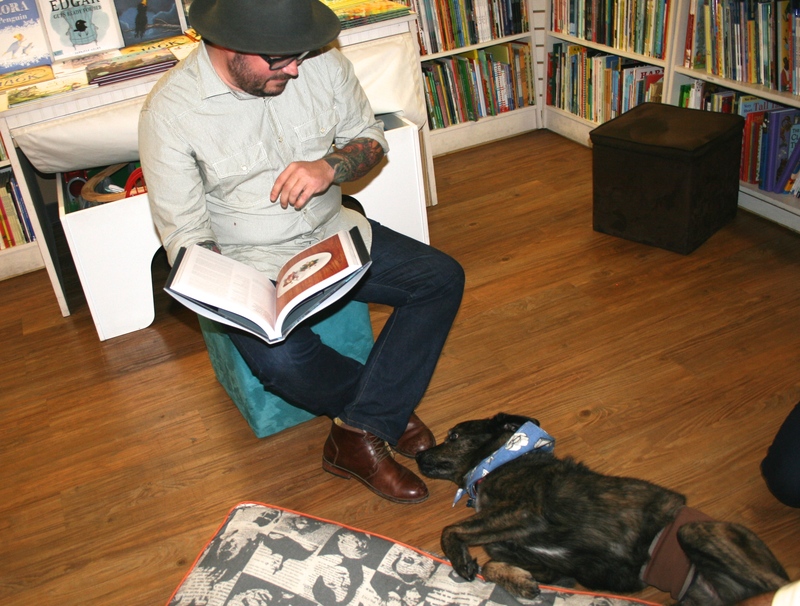 Next, Brock invited the shop dogs who were working that day — Opie and Bear — to gather ’round for storytime. He read them a recipe with lots of meat in it. They behaved poorly and jumped around like blind rabbits instead of paying attention. 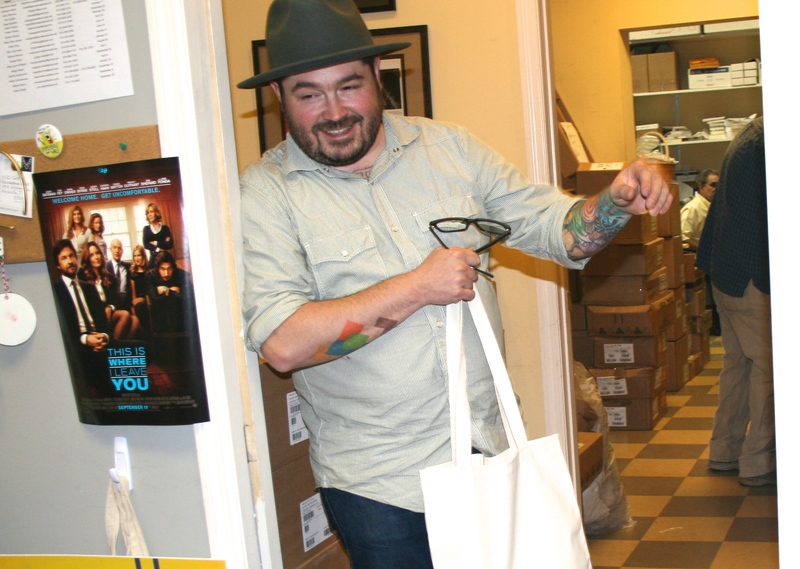 Still had some time to burn, so Brock pulled out his bag of records he’d picked up at a vintage vinyl shop and showed Andy, Sissy, and Steph his latest finds. Here’s one by Johnny Cash called “Look at Them Beans.” For real. It’s actually called “Look at Them Beans.” You can’t make this stuff up. 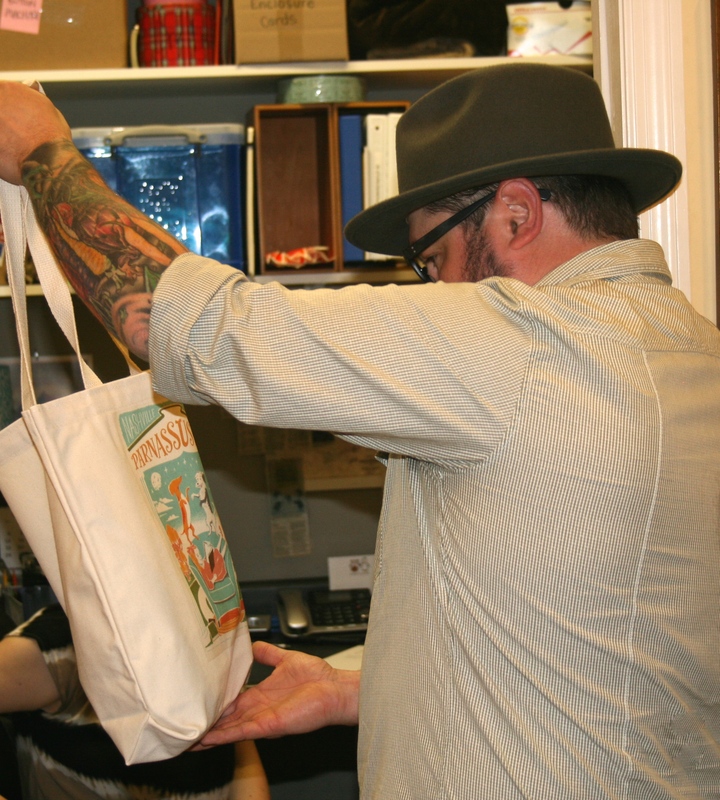 Talking about music led to talking about art, and we thought Brock might like to have one of our new tote bags to keep his records in. This one has a fabulous image from local artist Alex Pearson of Familytree Designs on it. It was getting close to lunchtime, so we pulled up the website for Brock’s latest opening, a casual, Mexican-inspired restaurant in Charleston called Minero. (Brock’s also the chef behind McCrady’s in Charleston.) His description of how he coats the outside of his burritos in cheese to make them crunchy made us hungry, and not for the leftover sandwiches we had in the office fridge. Sigh. 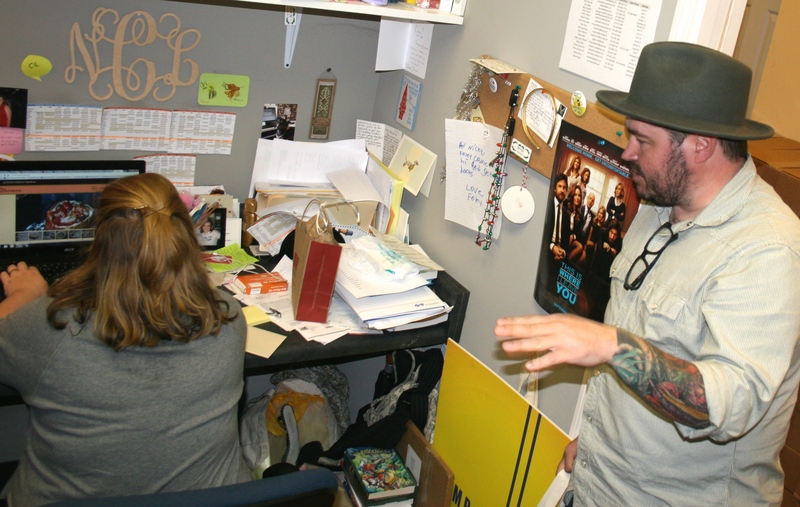 Then, alas, our time was up, and all of us — Brock included — had to get back to work. The good news is that we’ll be seeing him again soon, TWICE. Take your pick of events and join us, won’t you? 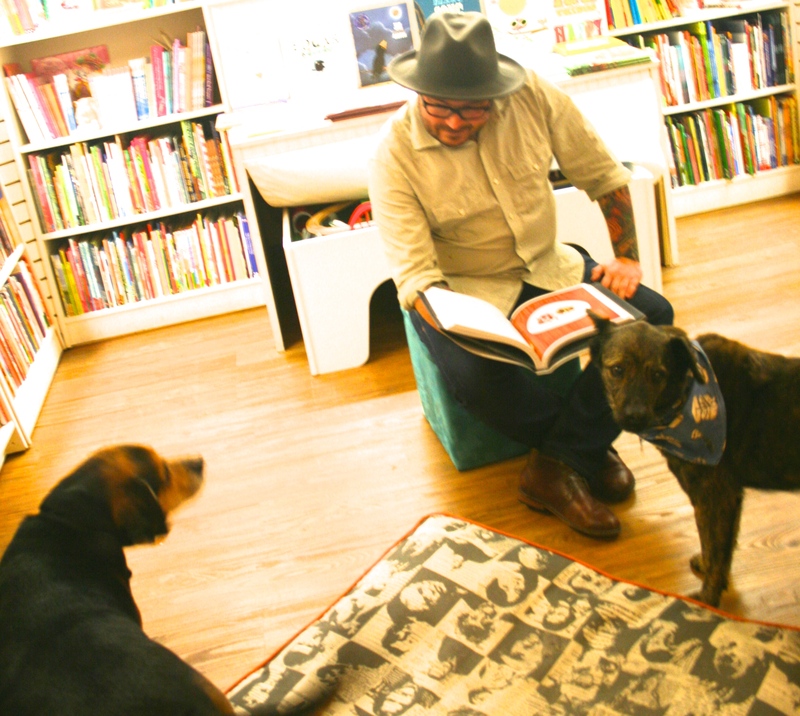 First, Brock will be at The Hermitage Hotel this Tuesday, October 28, for his official book launch. 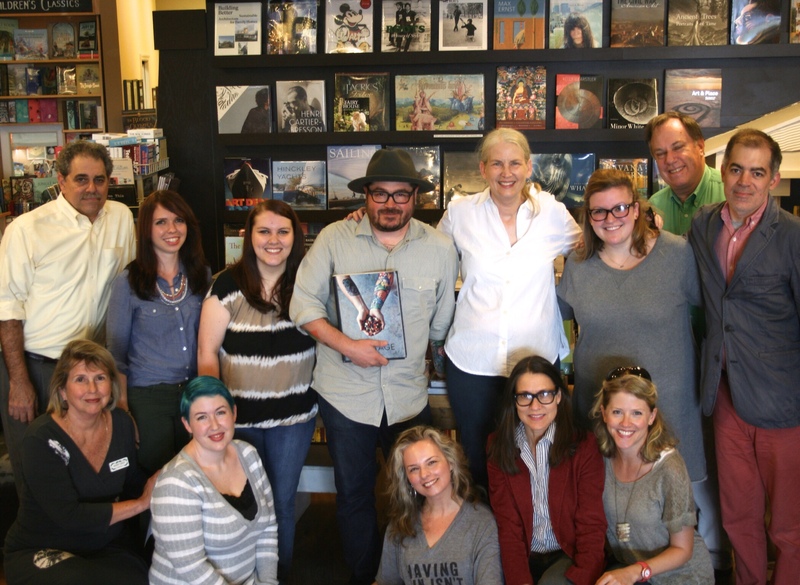 $90 includes the full Heritage experience: Savor the food, sip the cocktails, and go home with a gorgeous, autographed first edition of the book — one of the very copies he was signing at the store! Next, Brock joins us on December 3 for a very special event in conversation with his friend, singer-songwriter Jason Isbell (one of our favorite musicians ever, if you hadn’t guessed from the soundtrack on that video up there). There are only a limited number of tickets for this one, so if you want to go, grab yours now. With your $45.50 ticket package, you not only gain entry to this exclusive event, you get a signed first edition of the book! See you there.